Newly retired, Harold Fry finds himself hardly ever leaving the house and constantly in the way of his endlessly cleaning wife, Maureen. They pass the time making the necessary conversation but end their days in separate bedrooms, feeling a million miles apart from each other. One morning Harold Fry receives a letter from an old work college called Queenie Hennessy. The letter informs him that she has terminal cancer and is not long for this world. He stumbles over his written response and is still mulling it over as he walks to the letterbox to post it. Unsure of his reply, he decides to walk to the next letterbox and then to the nearest post office. After he meets a young lady in petrol station that inspires him, he decides he is going to walk from his home in Kingsbridge to Queenie’s hospice in Berwick on Tweed. This amounts to over 500 miles. He has no mobile phone, no walking equipment and after a quick call, no support from his wife but his mind is made up and he is walking to save Queenie. Along his way, he meets numerous characters, who affect him in various different ways. He looks back on his life and relives regrets and pains both he and his wife have buried so deep, their silence was the only way to cope with it. His walk not only reignites memories he has tried to repress but a love and passion for life he thought both he and his wife had lost forever. 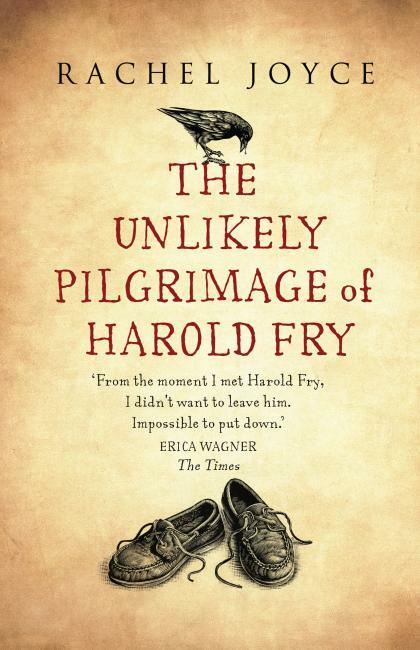 The Unlikely Pilgrimage of Harold Fry is simply one of the most heartfelt and touching stories I have ever read. There is something so incredibly delicate and honest about the main character you cannot help but instantly like him and truly relate to his want to achieve. At first, you may feel his wife is unsupportive and has maybe dragged him down or held him back but as the story unfolds, you fall in love with her as much as you do Harold. His wide-eyed innocence to the new types of people he meets is endearing and following his journey to becoming a whole new man is joyous. All in all this book has instantly become one of my all time favourites and I really cannot wait for more to come from Rachel Joyce. With such delicately handled raw emotion, lovable characters and an uncompromising ending, there is no way this book couldn’t be a bestseller.